While we were not scuba diving or relaxing, we were exploring the rest of the island. 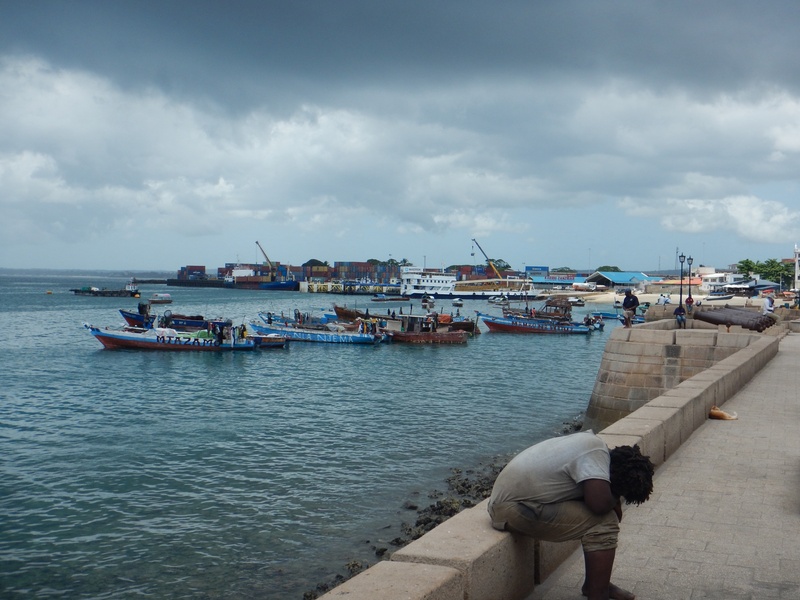 One of the days we decided to head into the main town on the island called Stone Town. It was either a 45 minute and $30 cab ride or a $3 and 1-2 hour on the local transportation. Not wanting to spend the money and having the time, Lasse and I opted for option two and took the local transportation. Walking to the center roundabout in town we waited there for the ‘dala dala’. As the dala dala arrived, we hopped on and were on our way. 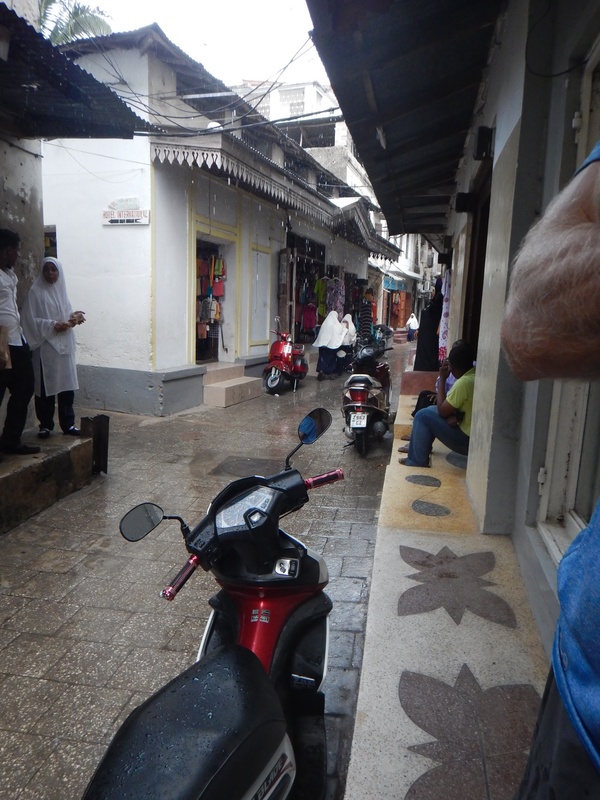 Now on Zanzibar, two different vehicles are used for local transportation. One is a minibus which is a little smaller than a 15 passenger van and the other is an open truck with benches lined down the side. The one that showed up in Paje was the open truck with benches. It came special with a goat in a box on top and took us about an hour and a half to get to Stone Town. Once in town, we ended up walking around and seeing the different sights the city had to offer. Since we were starting to get hungry, we walked to the harbor and grabbed a quick bite of food. Walking around the harbor here we saw quite a bit of tourists. Many of them we accompanied by a local guide that had been hired to show them around. 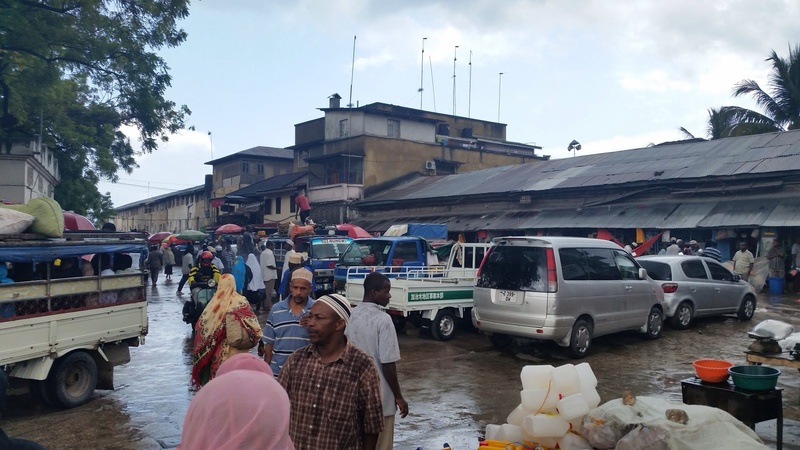 After visiting the harbor and seeing some of the ships, we headed to Zanzibar’s World Heritage Site. 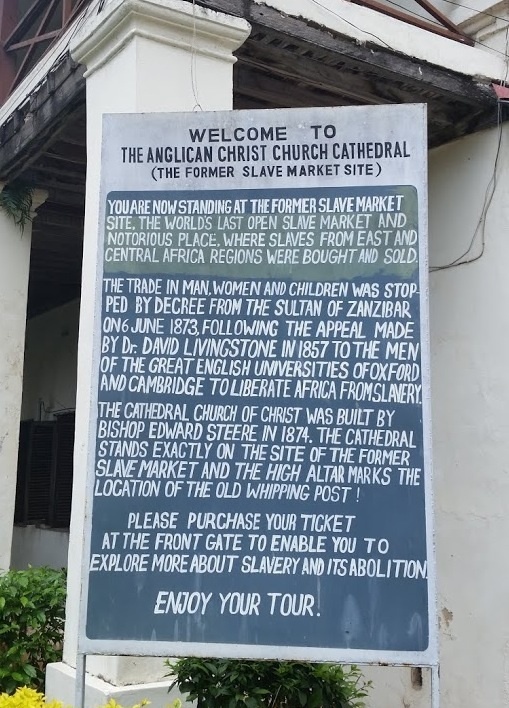 This site was the spot of the last open slave market in the world which was closed in 1873 with the help of Dr. David Livingstone. It was a very interesting site to see. 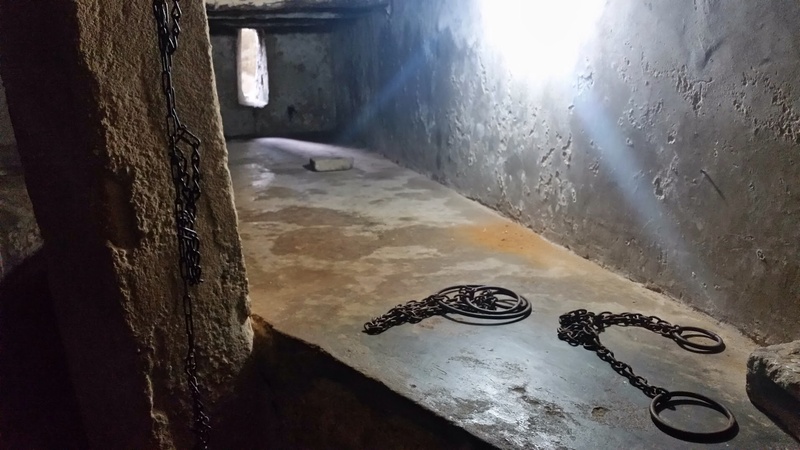 There were two chambers underground where the slaves were kept before auction and each chamber held around 80 slaves. 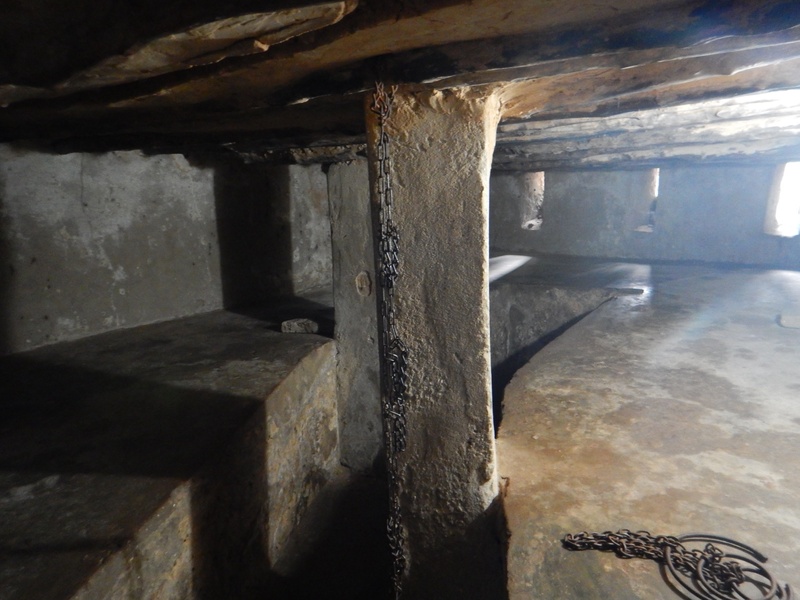 These two chambers were not very big and I was not able to fully stand up inside them. 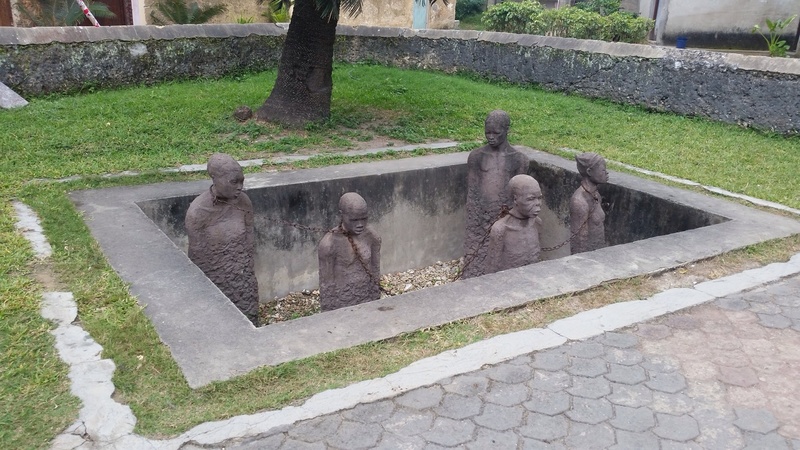 Located outside was a small pit that would show off the slaves for auction. With this being a World Heritage Site, there was an Anglican Church that was built on the site in 1874 to help preserve it. Walking inside the church, it was beautiful. 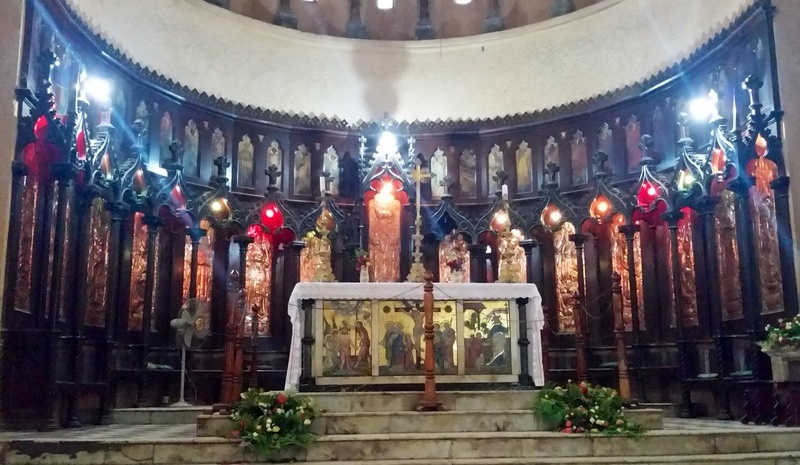 Located up at the front, was the church altar. This stood exactly where the slave whipping post used to be. 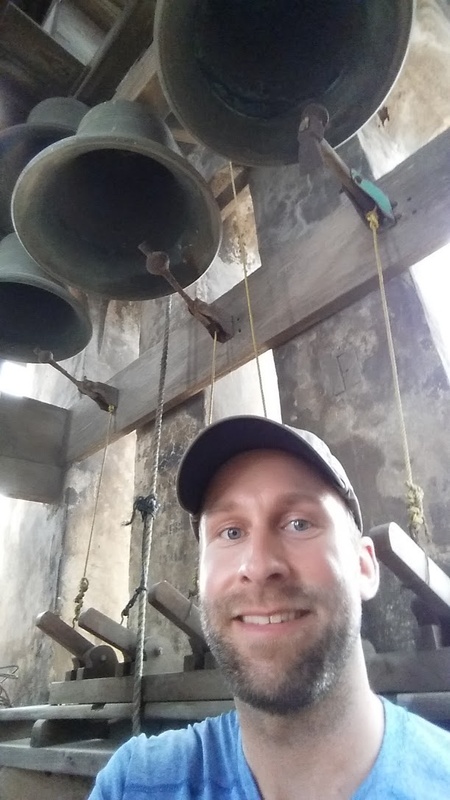 As we were walking out of the church, I noticed a door that was slightly opened and talked Lasse into climbing the stairs up to the church steeple. 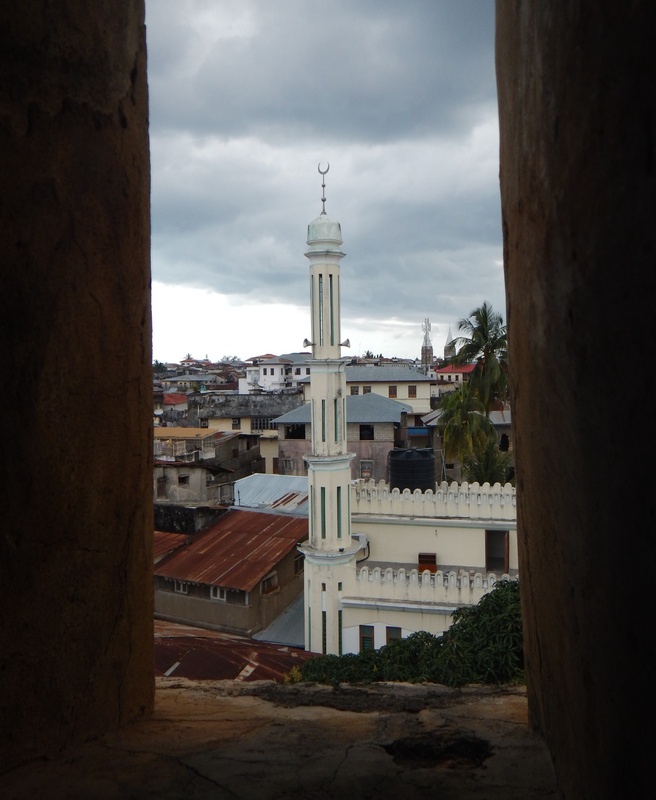 Here at the top we were able to see Stone Town all around us and capture some pictures. 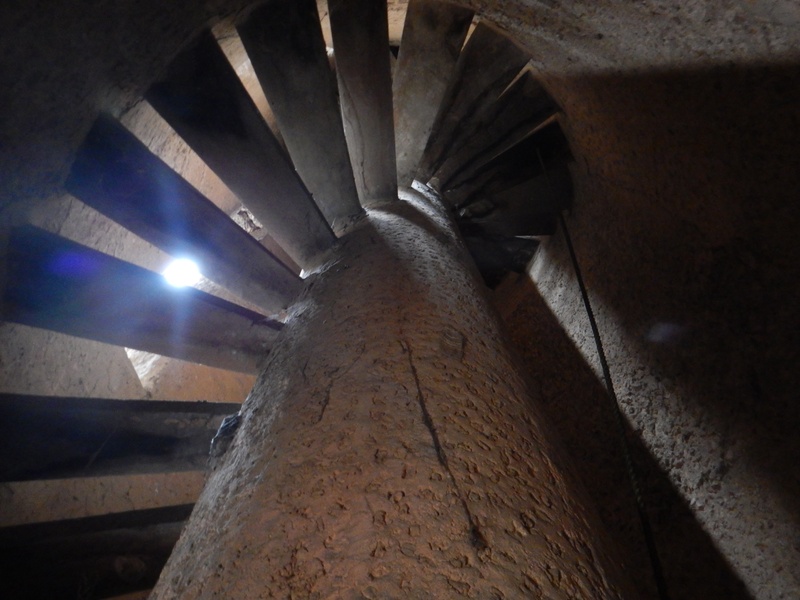 Luckily for us, we managed to climb up to the church bells without ringing them or being caught. 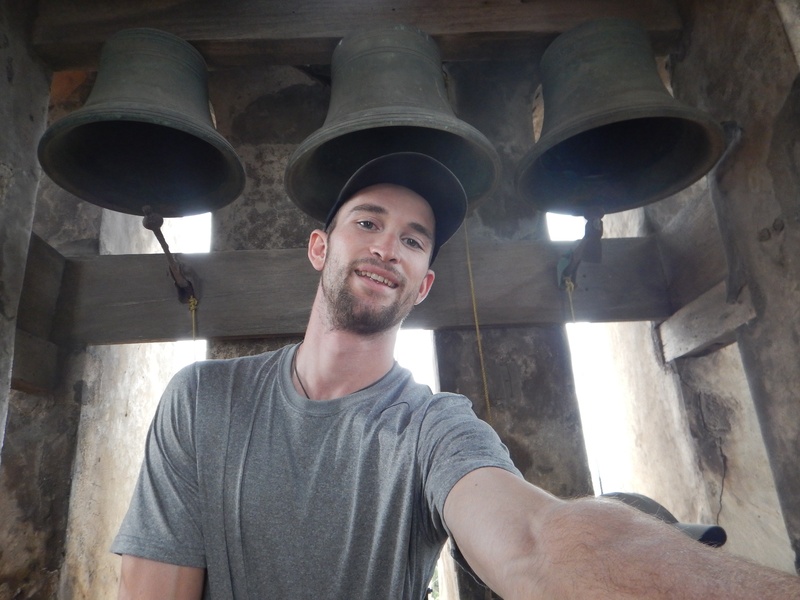 After visiting the World Heritage Site, we walked around the town some more. So many of the streets were super narrow and the only vehicles able to get through were scooters. Various shops lined these narrow roads ranging anywhere from food to clothes to hairdressing. Quite a few local markets were also located in this area. Different types of food, vegetables, fruits, and spices could be found here. 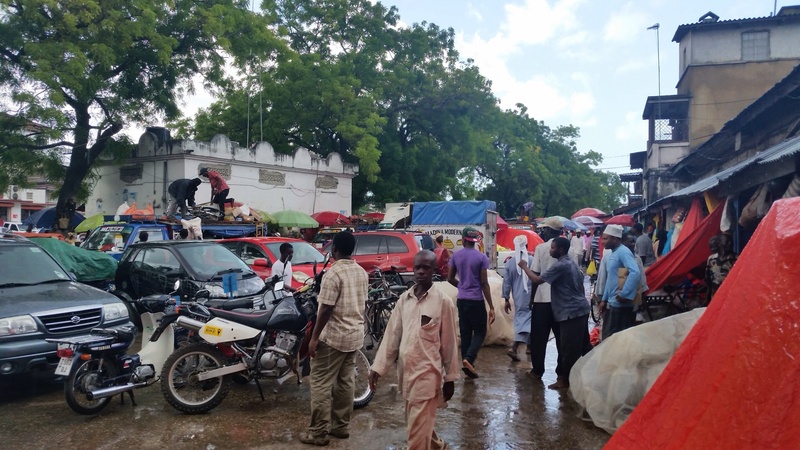 With spices being one of Zanzibar’s main industries, there was a market dedicated to only spices. Lasse ended up buying quite a few packets. The other markets we walked through and passed by were packed not only with food but with people as well. The worst was the fish market which smelled horrible. After wandering around the town for about 6 hours and seeing all that we wanted to see, it was time to head back to Paje. Taking the dala dala back was not as pleasant as coming. 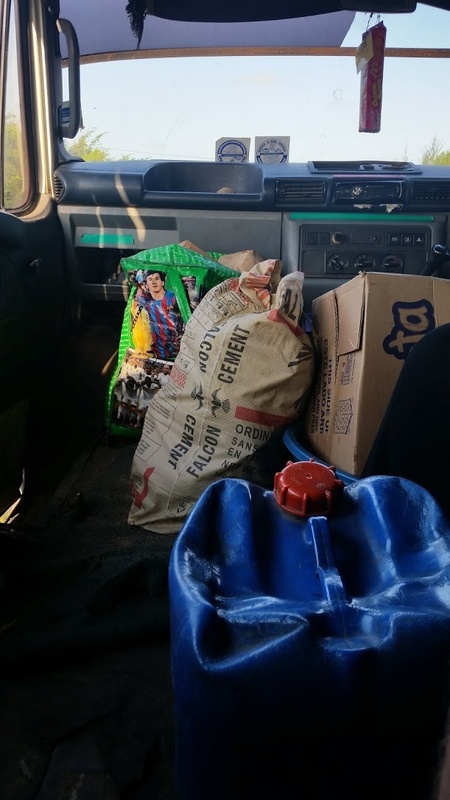 This time we were packed into the small minibus and Lasse had to sit on an old plastic gas can while I got a 5 gallon bucket. These vehicles are never full and if you can fit another person in whether there is a seat or not, he is getting a ride. 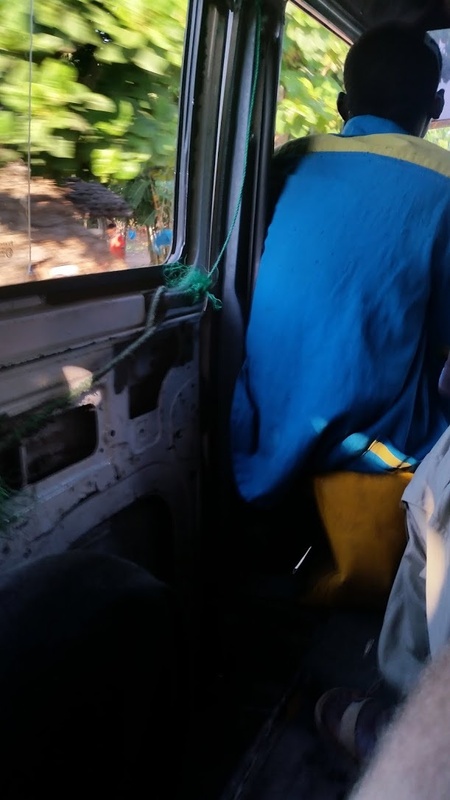 We had 21 people in a minibus that had seats for 14. Most of these vehicles are beat up pretty good and the sliding side door on ours was inoperable. It was held together by a piece of rope tied to the door pillar to keep it from coming open. Everyone used the front passenger door to climb in and out of. It was an interesting experience and we made it back to our hotel safely. 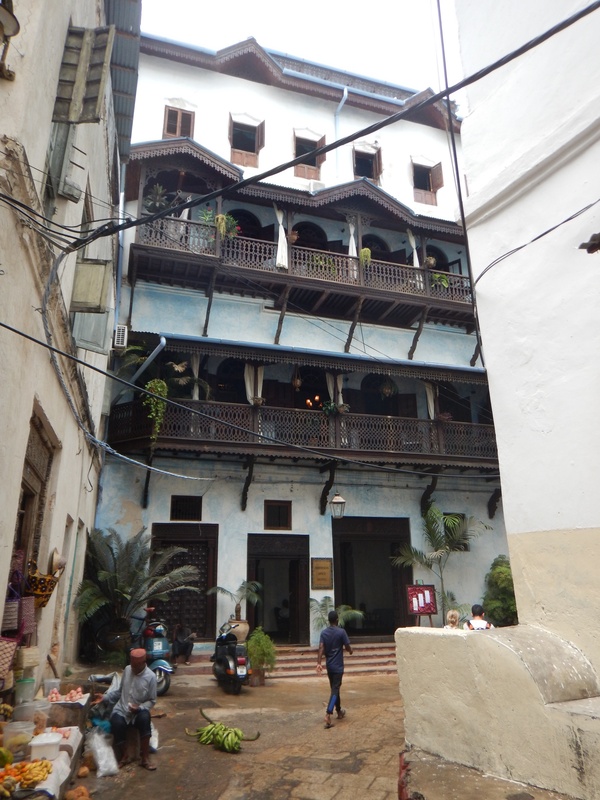 Stone Town was really fun to visit but I don’t think I would trade the peace, quite, and seclusion of Paje for the bustling city of Stone Town.